NPR said Friday that it discovered that a longtime freelance contributor, Danielle Karson, had recycled sound bites in more than two dozen reports that aired from 2011 until recently. NPR has handled the discovery, which was made by a producer and an editor, quickly and transparently, as it should. There is one mystery: Why did no one whose quote was re-used complain to NPR? One reason may be that newscasts are ephemeral because – unlike NPR's newsmagazines – they are not transcribed online. I understand the logistical and financial reasons that they are not transcribed, but perhaps this is an argument in favor of NPR changing that policy. The statement about what happened is below, followed by a statement from Karson. Freelance journalists, as the term implies, are not full-time employees of news organizations. They are paid by the story, photo, or video, depending on their areas of expertise. NPR requires the freelancers it works with will uphold the standards it has set for its own journalists. On Dec. 6, 2014, she filed a report about storms in California in which an interviewee was heard saying that "the rainfall basically collects all of our urban slobber and drains it out on to our beaches; and that creates significant water quality problems." She went on to file three more reports for NPR with that same piece of audio – on Dec. 24, 2015; Jan. 23, 2017; and May 9, 2017. The reports concerned other storms and their effects on California. But there were no indications in those subsequent stories that the audio was taken from a previous interview. Karson's actions, which go back at least as far as 2011, went undetected for so long in part because the reuses were sometimes months or years apart. Also, the editors and producers on NPR's Newscast desk work in shifts around the clock. No one editor or producer worked with her consistently and would have been in a good position to spot the problem. It wasn't until this week that a producer and editor who had recently worked with Karson on a story realized that the reporter was trying to reuse some material. That prompted the ongoing review of reports Karson has filed over the years. Because of the large volume of material, that investigation will take some time. 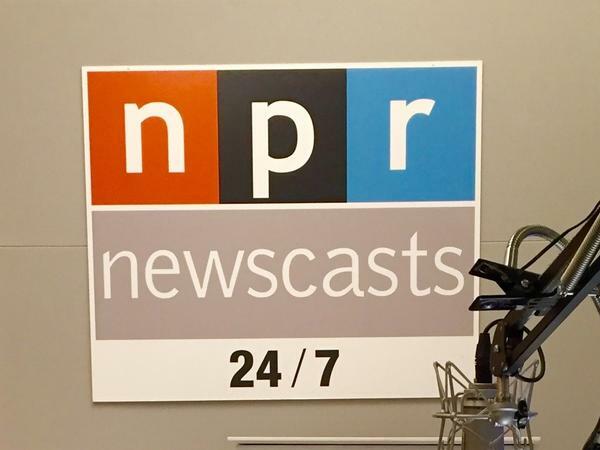 It will include the less frequent, longer reports Karson filed for other NPR radio programs, including Morning Edition and All Things Considered. Some of those reports were done in the early 1980s. NPR is also reviewing the small number of online reports that include material contributed by Karson. "As you might imagine, I'm heartbroken I will no longer work with the talented producers and editors I've known for years. They bring a special commitment to their jobs because working in public radio is more than punching a ticket; it's a labor of love. It never gets old. How could it? Every story is a learning experience. The process often begins with knowing little to nothing about an issue (earthquake alert sensors; shark behavior during El Niño). But after researching the subject so one can ask reasonably intelligent questions in an interview, the brain makes room for a new pocket of knowledge! But actions have consequences when they disrespect the bond with the public. It's been an honor and privilege being part of the public radio family for two-plus decades."